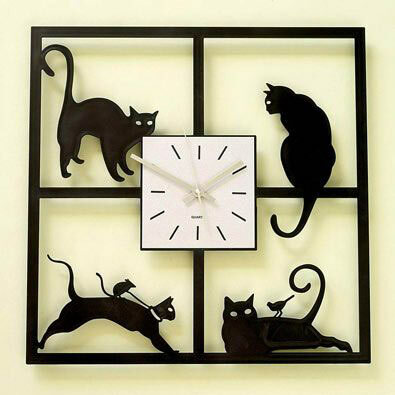 "Add some nostalgic flair to your kitchen with this retro wall clock. Fashioned from an oversized printed tin can to replicate everyone's favorite comfort food – tomato soup. An acrylic stylized tomato pendulum swings with the minutes, and a fork and knife serve as the hour and minute hands. Hangs with your picture hook on any wall. 4-3/8" deep x 4" wide x 8-7/8" high. Uses 1 AA battery, not included."